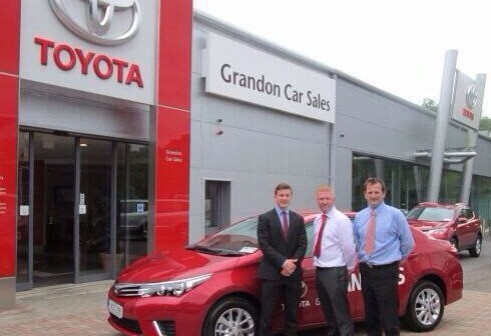 Grandons Car Sales have decided to recognise the contribution of Daniel Kearney to Sarsfields & Cork Hurling . Sarsfields Ken Grandon & Keith Mulcahy were on hand this morning to present Daniel wit his new Toyota Avensis. Safe Motoring, Daniel.